The results are in for global TV sales in Q4 last year, and it's not great – flat panel televisions sales are down for the first time ever. The research, compiled by DisplaySearch, shows that sales in the last quarter of 2008 were down from 60 million (in 2007) to 57.7 million. Broken down further and there are some promising signs, however. LCD panel sales were up 33 per cent year on year, and larger screens are more popular than ever. Screens with sizes 40-inch and above were up 23 per cent year on year. When it comes to brands, Samsung are top dog. 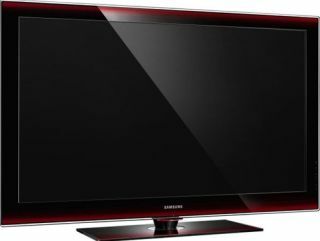 The company dominates the flat panel market for the third year in a row – taking a whopping 22 per cent of the market. This is almost double what second place Sony has achieved, with 12.9 per cent of market share. In third, fourth and fifth are: LG, Panasonic and Sharp respectively. As for which panel type is the consumers' favourite, LCD is riding high with 58 per cent. Surprisingly CRT is not far behind with 34 per cent. OLED had an awful last quarter of the year, its growth down 22 per cent and a massive 56 per cent down year on year.